Started in 1994 as a catalog retailer of third-party vitamins and supplements it has expanded to sell proprietary vitamins and supplements, food, beauty products and sports nutrition. Get 20% off select Garden of Life fitness products. Valid from 1/2/19 at 7 a.m. E.T to 1/28/19 at 7 a.m. E.T. While supplies last. Save up to 55% on Select Best Insect Repellents. Buy One, Get One 50% Off Select Vega Plant based Protein. Offer ends on 01/21/2019 at 7 am EST. Save an Additional 10% on Select Brand of the Day. Dont forget to check, offers change daily throughout the month. An Every Day Deal! Get $15 Off Your $120 Purchase. While supplies last. Take 15% off your ENTIRE order with code! Take 20% Off Select Optimum Nutrition & More. Get 15% off Doctors Best supplements. Restrictions may apply. Get 20% Off all Beauty products. Valid from 12/20/18 at 7 a.m. E.T to 12/22/19 at 7 a.m. E.T. While supplies last. Get 20% off Garden of life Dr. Formulated keto. Offer expires on 01/28/19 at 7:00 AM EST. Buy one, Get one 50% off select Vega products. Restrictions may apply. Get $5 off Orders $50 or more. Get $10 Off Your Purchase Of $85 Or More. Limited time offer. Get 35% Off all Amazing Grass products. Valid from 1/14/19 at 7 a.m. E.T to 1/28/19 at 7 a.m. E.T. While supplies last. 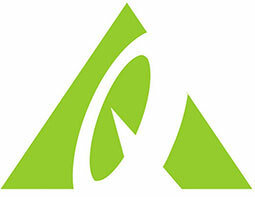 Get 15% off all Acure products. No promo code needed. Valid from 1/14/19 at 7 a.m. E.T to 2/4/19 at 7 a.m. E.T. While supplies last. Get 10% Off Nature’s Way Herbs. Offer Expires on 01/28/2019 at 7:00 AM ET. Get 15% off your entire order with code! Get 41% Off Tom’s of Maine Antiplaque and Whitening Toothpaste Peppermint – 5.5 oz. 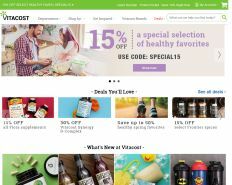 Check out all of Vitacost’s Offers, In-store Coupons, Promo Codes, and more! Get 20% off Garden of Life mykind Organics! Valid from 12/26/18 at 7 a.m. E.T to 01/28/19 at 7 a.m. E.T. While supplies last. Prices reflect discount. Get 15% off your order. single use code. Get 15% off select keto-friendly foods. Restrictions may apply. Get 15% off Select Vegan food. Offer expirese on 01/21/2019 at 7 am ET. While supplies last. Get 15% Off your entire order. Valid from 1/14/19 at 7 a.m. E.T to 1/16/19 at 9 a.m. E.T. While supplies last. Get 15% Off all New Chapter supplements. Valid from 12/26/18 at 7 a.m. E.T to 12/28/19 at 7 a.m. E.T. While supplies last. Get 15% Off Select Gluten-Free Food. Offer ends on 01/21/2019 at 7 am EST. Get $10 Off Your $70 Purchase. While supplies last. Get 20% off ALL Vitamins & Supplements with code! Take 25% Off Select Enjoy Life Snacks & More. Get 25% off Larabars snack bars. Restrictions may apply. Offer expires 1/21/19, 7:00 am ET.